I hope weeks 1 & 2 of our Beach Body Series went well for you. If you haven’t started yet, that’s okay, it’s never too late. 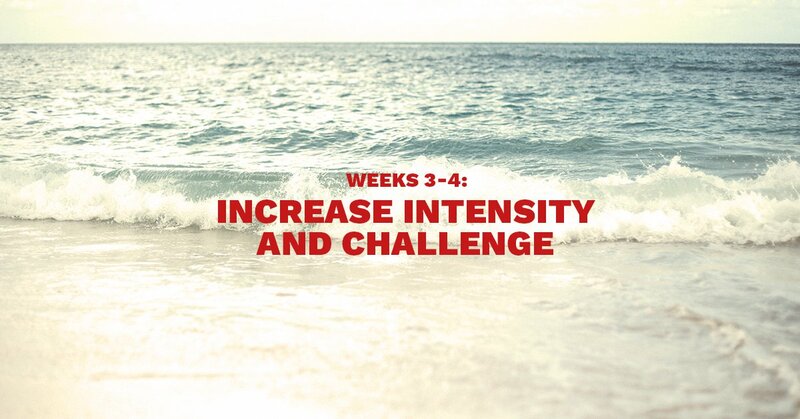 Starting this week we are going to increase our intensity and start challenging ourselves a little bit more. To accomplish this we will add in some weight training with resistance bands and dumbbells and incorporate them into super-sets. Sunday Recreation: walk or hike, take a yoga class, play frisbee, or garden. Whatever gets you moving on the weekend! Each exercise should be done 12 times (on each side of the body) before moving to the next exercise. Complete each Super-set three times. Tricep Dips: Using a chair, place hands outside of hips on the chair. Dip your hips as low as possible while keeping your bottom near the chair. Bring legs in close to make it easier, far away to increase challenge. 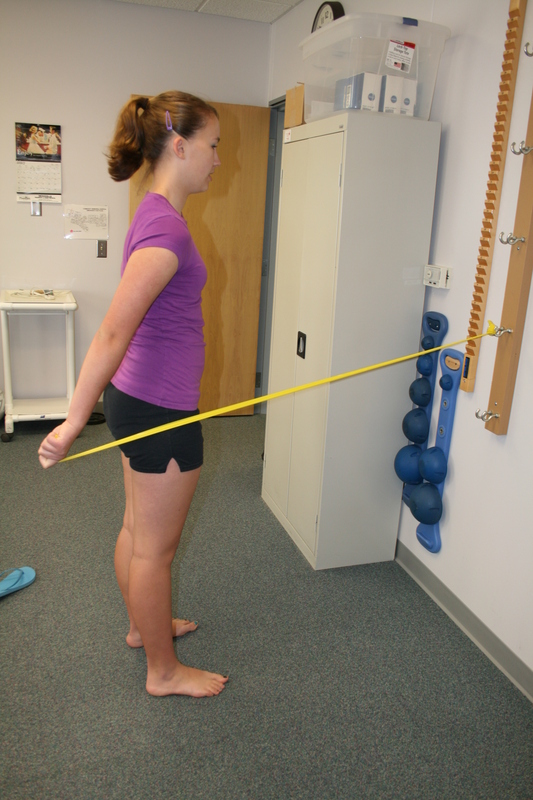 Pallof Press (using resistance band): Anchor band and turn so that your side faces it. Hold the band at chest height. Maintaining tension, extend arms to press away from your body. Return. Bent Row: Anchor the band to a low point and face the band. Holding it in each hand, bend over, make a rowing movement so that your elbows come behind your body as you press your shoulder blades towards each other. Rear Delt Fly: Face side on to your band and bend over so that your upper body is parallel to the floor. Using the hand furthest from the band, grip the band and extend the arm away from you so that it is in line with the shoulder and also parallel to the floor. Return your arm to the starting position. Squat Press: Holding dumbbells at shoulder height, complete a full squat. As you stand, press the weight overhead. Weighted front lunge: Holding a plate at chest height, step forward into a lunge. Step together. Then step the other leg forward. Squat with Side Leg Raise: Holding a shallow squat position (hips above knee level), step your right leg to the right. Stay in the squat position on the left leg. Raise your right leg up and touch it down. Repeat up to 12 times before completing reps on the left.